mother (well, father) of all collaborations? 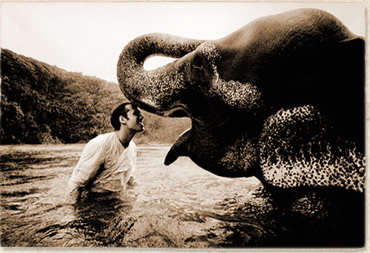 Just stumbled onto artist Gregory Colbert's work, Ashes & Snow. His 18-year ongoing collaboration with people and animals around the globe is a testament to long-term vision, steady persistance and stunning beauty. He shares his work through photography, film, installation, and the book arts. The scope, depth, scale, and beauty of this work take my breath away.